Today, more than 600 people in the U.S. will die from preventable injuries. Injury and violence are the leading causes of death among young people between 1 and 44 years of age in the U.S. Unintentional injuries from motor vehicle crashes, falls, fires/burns and poisonings (from prescription drug overdoses), and violence from homicides and suicides kill more young people each year than cancer, diabetes, heart disease and the flu combined. Unintentional injuries are the leading contributor to years of potential life lost (YPLL) before the age of 65 years, accounting for 19% of the YPLL, followed by cancer (16%), heart disease (12%), suicide (7%), and homicide (5%). More than 25 million people in the U.S. are treated for an injury in emergency departments every year, and 3 million are hospitalized for due to their injuries. Both fatal and non-fatal injuries have substantial burdens to individuals, families and societies. 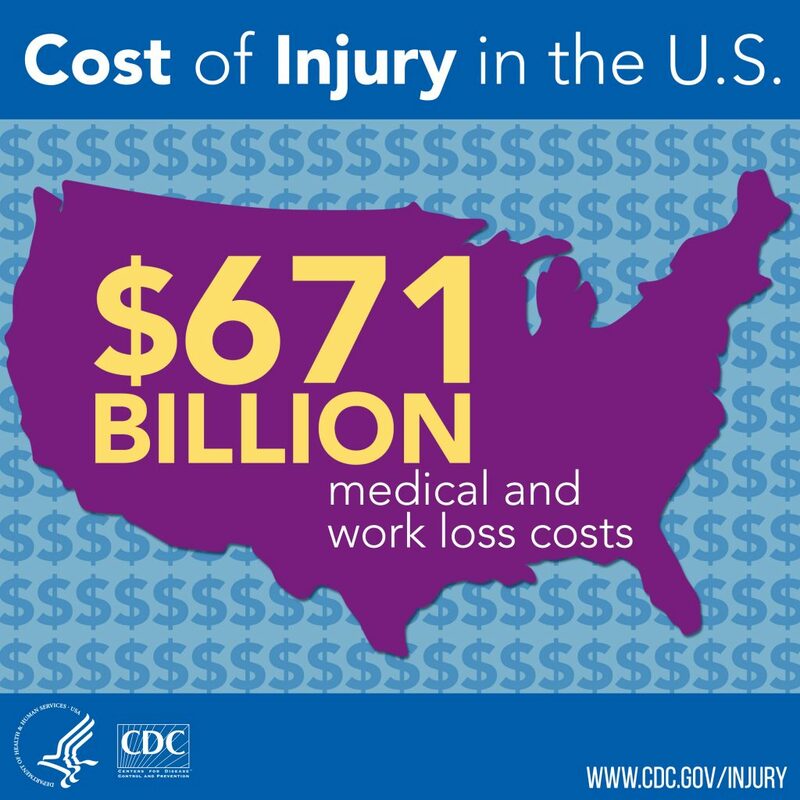 As much as $671 billion is spent annually in the U.S in medical costs and lost productivity due to injuries. Learn about research UI IPRC is conducting to prevent and control injury and violence in communities both nationally and internationally.